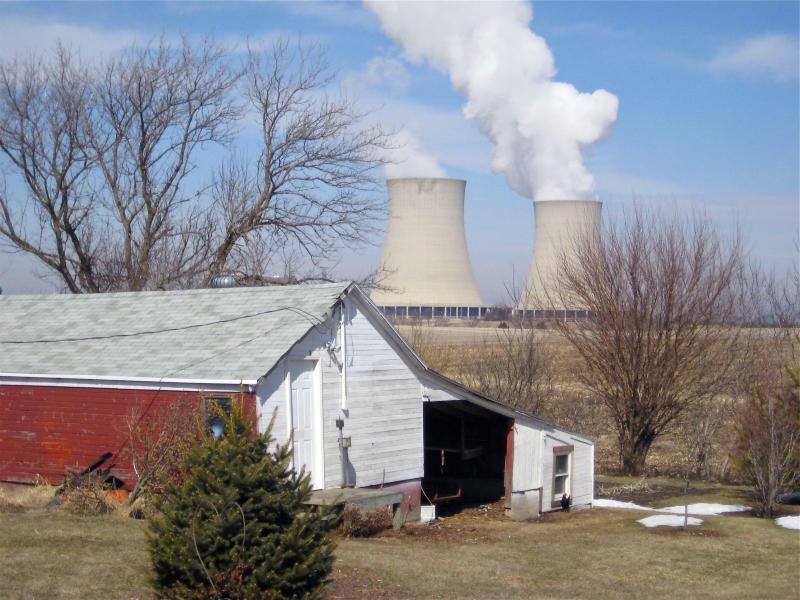 Commission staffers are weighing some of the industry's requests as part of a sweeping review of how the agency enforces regulations governing the country's 98 commercially operating nuclear plants. Recommendations are due to the five-member NRC board in June. Annie Caputo, a former nuclear-energy lobbyist now serving as one of four board members appointed or reappointed by President Donald Trump, told an industry meeting this week that she was "open to self-assessments" by nuclear plant operators, who are proposing that self-reporting by operators take the place of some NRC inspections. The Trump NRC appointees and industry representatives say changes in oversight are warranted to reflect the industry's overall improved safety records and its financial difficulties, as the operating costs of the country's aging nuclear plants increase and affordable natural gas and solar and wind power gain in the energy market. But the prospect of the Trump administration's regulation-cutting mission reaching the NRC alarms some independent industry watchdogs, who say the words "nuclear safety" and "deregulation" don't go together. For example, "the deregulatory agenda at SEC is a significant concern as well, but it's not a nuclear power plant," said Geoffrey Fettus, a senior attorney for nuclear issues at the Natural Resources Defense Council, referring to the federal government's Securities Exchange Commission. "For an industry that is increasingly under financial decline ... to take regulatory authority away from the NRC puts us on a collision course," said Paul Gunter, of the anti-nuclear group Beyond Nuclear. With what? "With a nuclear accident," Gunter said. The industry made its requests for change in a letter delivered by the Nuclear Energy Institute group. A "high-priority" ask is to eliminate press releases about lower-level safety issues at plants — meaning the kind of problems that could trigger more inspections and oversight at a plant but not constitute an emergency. The industry group also asked that the NRC reduce the "burden of radiation-protection and emergency-preparedness inspections." Scaling back disclosure of lower-level problems at plants is "more responsible ... than to put out a headline on the webpage to the world," said Greg Halnon, vice president of regulatory affairs for Ohio-based FirstEnergy Corp., which says its fleet of nuclear and other power plants supplies 6 million customers in the Midwest and Mid-Atlantic. When the NRC makes public the problems found at a plant, utilities get "pretty rapid calls from the press, SEC filings get impacted because of potential financial impact," Halnon said. Trump has said he wants to help both the coal and nuclear power industries. So far, it's the more politically influential coal industry that's gotten significant action on the regulatory rollbacks that it sought from the Environmental Protection Agency and other agencies. In January, Trump appointees to the NRC disappointed environmental groups by voting down a staff proposal that nuclear plants be required to substantially — and expensively — harden themselves against major floods and other natural disasters. The proposal was meant to be a main NRC response to the Fukushima nuclear plant disaster after Japan's 9.0 earthquake and tsunami in 2011. Caputo, who previously worked for nuclear plant operator Exelon Corp, told operators this week her aim was "risk-informed decision-making," concentrating regulatory oversight on high-risk problems. "We shouldn't regulate to zero risk," said David Wright, a former South Carolina public-utility commissioner appointed to the NRC board last year. "The NRC mission is reasonable assurance of adequate protection — no more, no less," Wright said. "It's difficult to come across as an independent regulator and rely on self-assessment" from plants, Vegel said.